Sonoma County immigration attorney Christopher Kerosky has spent the last year working with his nonprofit group My American Dreams on behalf of local DACA recipients who may face deportation under the current administration. Recently, Kerosky also teamed with former Washington Post reporter Jose Antonio Vargas on the documentary The Only Home I Know, which profiles North Bay DACA recipients like artist Maria de Los Angeles. 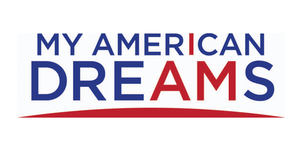 The film screens on KRCB-TV on Nov. 20, and My American Dreams hosts a premiere screening, panel discussion and reception that raises funds for undocumented victims of the fires on Thursday, Nov. 16, at Sebastopol Center for the Arts, 282 S. High St., Sebastopol. 6pm. myamericandreams.org.